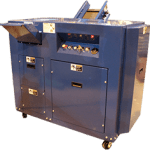 Our SSD shredders are designed for the sole purpose of shredding SSD type memory devices. These shredders are ideal for destroying standard SSDs, flash drives, smartphones, mini-tablets, PC Boards, CDs, Blue Ray discs, and assorted e-waste. 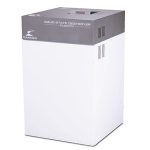 We have options for both industrial and small office use. Need help selecting which SSD or Flash Media shredder best meets your needs or looking for a quote?